Actually I prefer biographies to fiction. This is the first fictional book I've read in years. I've been VERY happy with the biographies I've purchased from you. 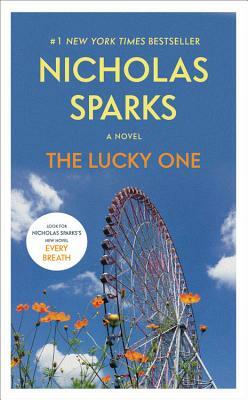 Very Good book..I love all Nicholas Sparks books...he sure can write!! I WAS SO EXCITED WHEN I HEARD THIS BOOK WAS ABOUT A MARINE. I COME FROM A MILITARY FAMILY AND AM MARRIED TO A MARINE. NICHOLAS SPARKS IS SO TALENTED AND ALL OF HIS NOVELS ARE SO GOOD AND THEY MAKE YOU FEEL THE LOVE EVERYTIME. THIS IS A MUST READ. Love, love, love Nicholas Sparks's books. This is a great read from start to finish as are all his stories. I think both of us are hopeless romantics and this one didn't let me down. I would recommend it to everyone who loves a wonderful well written novel. Another good book from Nicholas Sparks! I enjoy reading his books - and this books was no different!